Started in December 2015, Kevin, Steve and Jeff started a new venture into podcasting. Taking their love for the RC flight hobby, they created this show to share their and your experiences in hobby. Over the Years, Steve and Kevin have continued to share their hobby to the community. 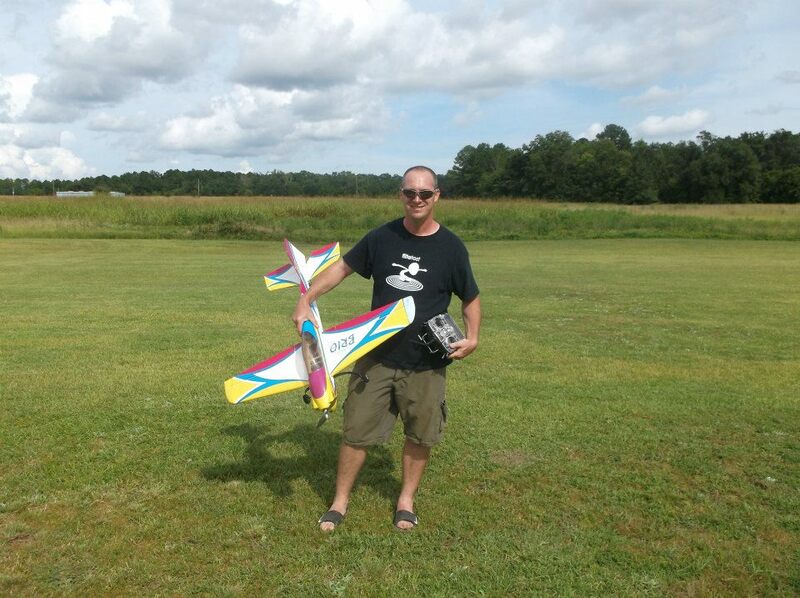 Starting out with RC airplanes, interest of FliteTest, Jeff, Steve and Kevin met on the FT Forums. During FliteFest 2015, and decided to start a show. Over the past 100+ episodes, we continued to create content that hopefully amuses and entertains the community of RC enthusiasts. It a passion for the hobby and the great people we get the honor of meeting, that makes this the all possible. Bio: Started RC as a kid with RC cars and balsa airplanes for a couple years. Not much luck with flight back then, started again in 2014 with FliteTest and grew into the RC 3D helicopters. Primarily flies Helicopters now since 2016 and enjoys the difficulty of 3D heli flight . Bio: David started the hobby as a kid with control line 0.049” nitro, spent hours going through the tower hobbies catalog, dreaming of all the possibilities. David grew up and he started building scratch built foam airplanes in 2011, 2015 came around and so did the introduction of FliteTest and started using foam board. Best known for his FA-18E which he designed in a 28” and 40” versions. David grew up in the pacific northwest but now lives in central mass and currently works for a well know bio lab company. He’s a scientist! Fleet: RC Powers F-22, RC Powers F-18, FT Cruiser, FT Simple Scout, FT Spitfire, FT Viggen and FT Verawing. Bio: Fred's dad was a pilot and he passed that love of aviation to him. Grew up with a gutted Cessna 170 in the backyard, spent many hours "flying" in and summers vacation to EAA Airventure in Oshkosh, WI. Never having the funds and demand in commitment to do full-scale, RC aviation was an interest since early childhood, dabbled in highschool but really got involved in late 2000's. Behind the scenes with Flite Test before FT officially debuted and "officially" doing online support just after the first FliteFest 2015. Fan to host of FFRC podcast in 2017. Flown helis, to planes and drones, primarily keeping with the planes and multi rotors, loving the FPV experience of flight from the cockpit. Maybe a FPV helicopter in the future. Bio: Chris has been flying RC for the past 32 years, 3rd generation of RC enthusiast with his grandfather giving him his first nitro RC plane at an early age of 6yrs old so flying is in his blood, not just as a hobby but as a lifelong passion! Got into RC helis in early 90s, continuing his passion for the hobby, started writing reviews for RC Heli Pilot and FLY RC magazines. Working on tons of build reviews/guides and videos for his RC pages. He created a home on the internet with http://www.3dandscalerchelicopters.com to be able to share his passion for the hobby and also to help as many people he can. More recently, starting an Aerial Photography business. He's also the CD for the Northeast Model Helicopter Jamboree in Macedon, NY and creates one of the go to premiere events in the northeast. A true ambassador of the Hobby!